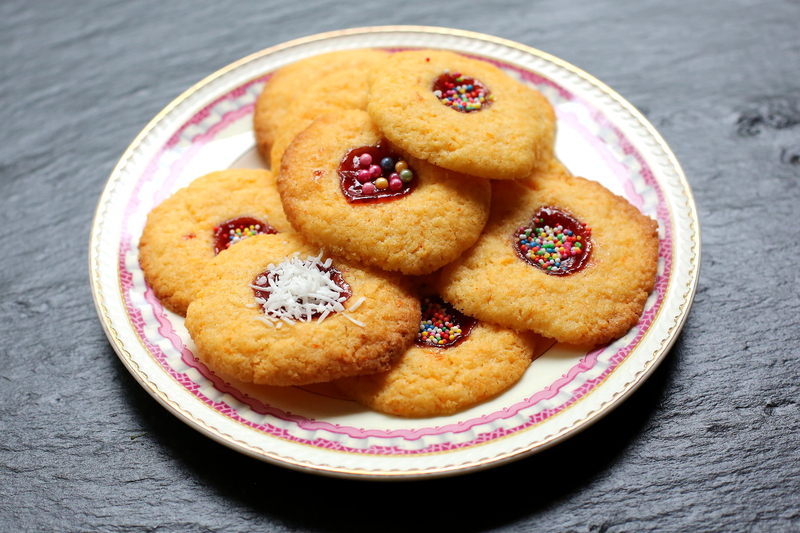 These old fashioned jam drops are all I want in a biscuit (cookie). They are sweet, flavoursome and chewy with a crisp edge. 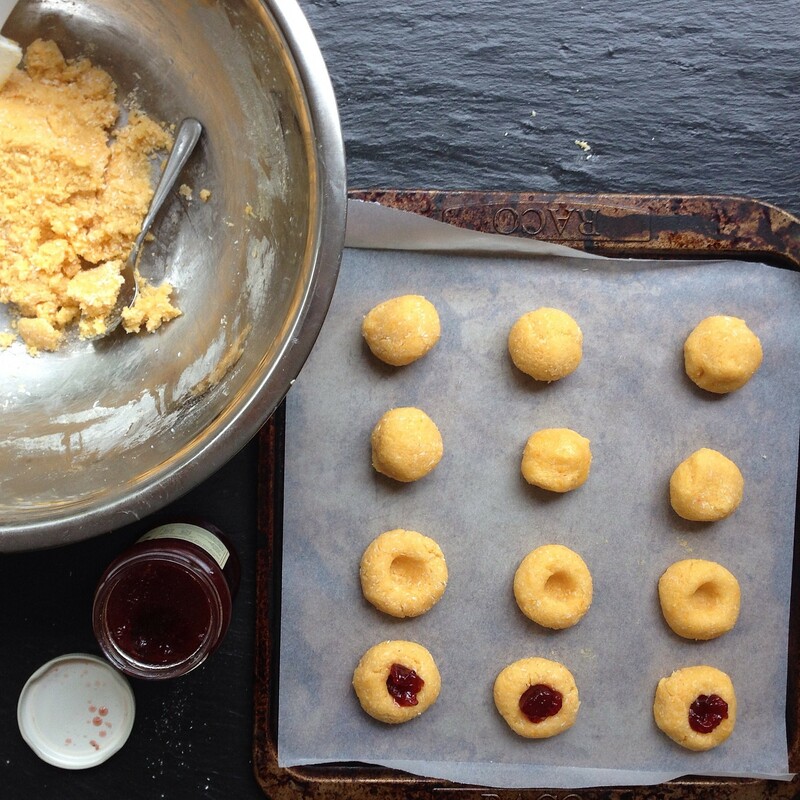 Jam Drops require only a few simple ingredients and are so quick to make. The recipe I have used originally came from the St Vincent’s Hospital Cookbook and was the recipe my grandmother, Jean, always used. My grandmother spent a lot of time taking care of all of her grandchildren. As well as her kindness and patience, I fondly remember her jam drop biscuits! 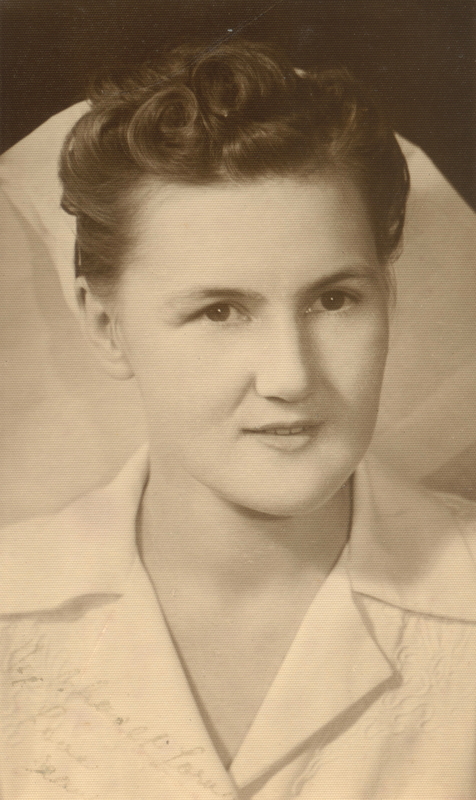 Before she was married Jean trained and worked as a nurse at St Vincent’s Hospital. It was relatively short career but was one that she enjoyed and was very proud of. 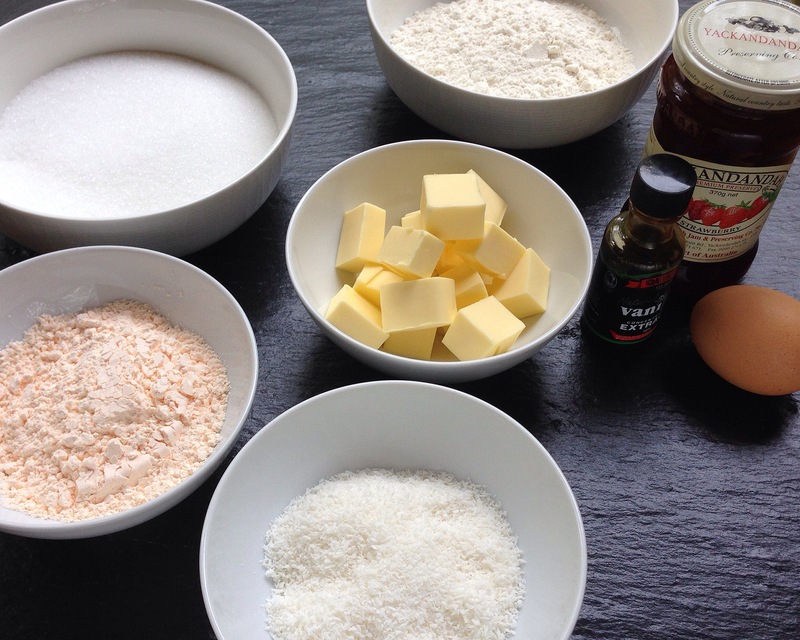 I have made one small change to the original recipe – replacing the cornflour with custard powder. I can’t claim this innovation came about as a result of inspired thinking. I was simply distracted while making a batch one day many years ago and mistook the custard powder box for the cornflour; a happy accident. The biscuits (cookies) do spread quite a bit while baking. I forgot this and placed them too closely together on the tray so the presentation isn’t all that it could be. I would have liked to made another batch to photograph but it’s been crazy busy here. What started off as a conversation with my husband about a spring clean has quickly escalated into not only an unprecedented cleaning frenzy but new paint, carpets and lounge! I added some sprinkles to the biscuits. It’s not authentic or necessary. That’s just how we roll here! Preheat the oven to 180C/350F. Cream the butter and sugar. Add the egg and vanilla; mix. Add the flour, custard powder and coconut; mix again. Roll into small balls. Place on a baking tray allowing plenty of room for them to spread. Create a well in the top by pressing your thumb into the middle. Fill the space with a small spoonful of jam. Bake in a moderate oven (180C/350F) until golden brown. Remove from the oven and while they are still warm sprinkle over the decorations. Posted in Biscuits & CookiesTagged Biscuits, cookies, jam dropsBookmark the permalink. Pimping the jam drops – what would the Country Women’s Association say!? They look good!! I love these cookies. I’d call them jam thumbs. I love that crusty outer edge. These are really pretty! I don’t know anyone who doesn’t love a good jam drop. 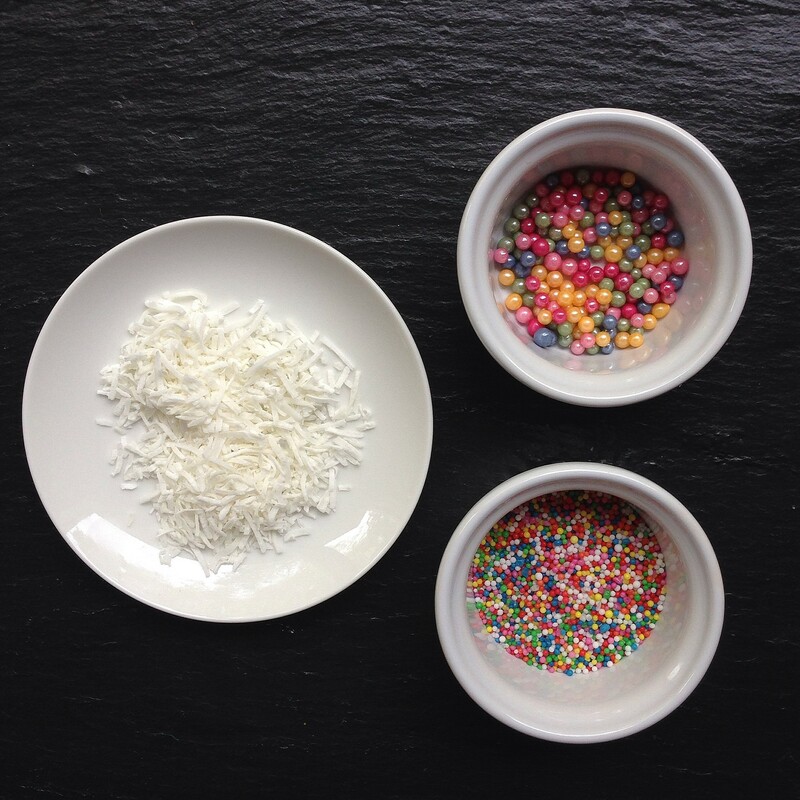 I love the addition of sprinkles!